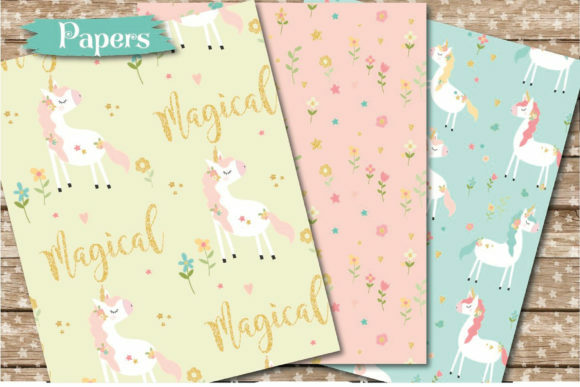 A sparkly unicorn pattern paper set, created using a pastel colour palette and gold glitter.. Patterns include, unicorns,. flowers, gold glitter, stars and more.. 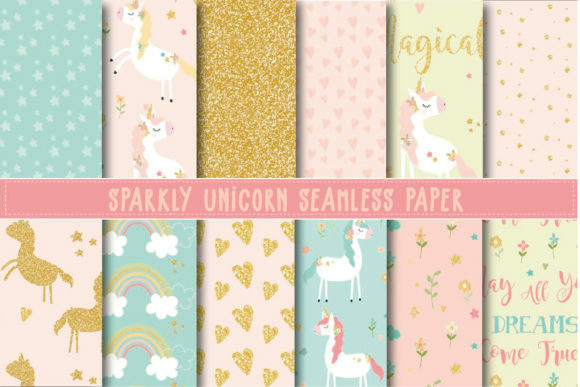 This pack includes 12 seamless sparkly unicorn papers. Papers available in AI, PNG, JPG and EPS file format. Perfect for party invites, scrapbooking, greeting cards and all your unicorn crafting. Coordinating Sparkly Unicorn clipart can be downloaded separate.